Over a period of seven years, I collaborated with Jefferson County Historian Janice Barnes to create a series of digital history projects at the Madison-Jefferson County Public Library. On May 20, 2009, Jefferson County’s 150-year-old courthouse became engulfed in flames and in that moment nearly two centuries of public records became unavailable to the public. We saw this as a herald to make these records available online. Working with a team of volunteers, we quickly transcribed hundreds of pages of records from dozens upon dozens of reels of microfilm and print indexes. As soon as the records were proofed, they were placed online. I leveraged jQuery filtering scripts to help researchers sift through the data. It also helped expose patterns that would otherwise be hidden. For example, we were able to instantly track disease epidemics in the City of Madison Death Records by typing “cholera” in the filtered search box. 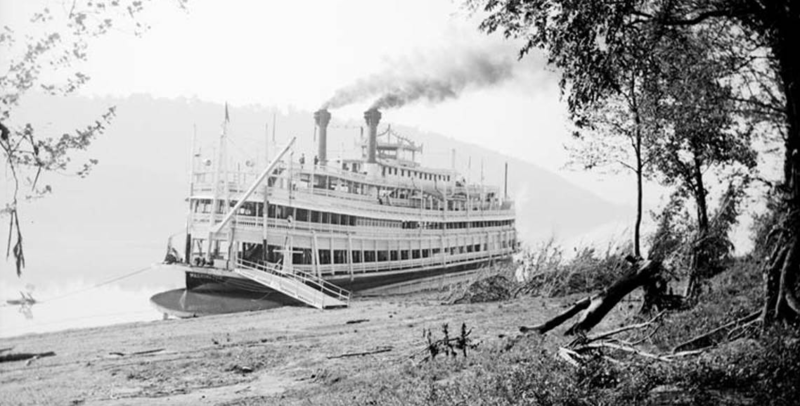 From early riverboats to Indiana’s first railroad, Madison was uniquely caught up in the age of steam. River to Rail was a joint digitization/history project to capture this history between our library and the Jefferson County Historical Society. Between our organizations we had a wealth of photographs and materials chronicling Madison’s boom days and how Madison directly contributed to the state’s early growth. From 1927 through the 1950s, Madison, Indiana, real estate agent and amateur photographer Harry Lemen captured scenes along the Ohio Valley in Madison, Hanover and Jefferson County, Indiana. MJCPL inherited his Kodak Brownie camera, his prints, and negatives. Starting in 2003, the library scanned many of the photos to make them available to the public. On each of these projects, I created the project websites, and coordinated the technical and content management aspects, including best practices for scanning historic negatives and prints, and Dublin Core metadata creation.I utilized the Textpattern CMS for the project’s textual content and ContentDM and Omeka for our image archives. With Mrs. Barnes, I co-wrote a pair of Library Services and Technology Act (LSTA) grants and a local foundation grant to fund these projects. Top image: The steamship “Washington” docked at Hanover Beach, Indiana. From the River to Rail Collection. Image held by the Madison-Jefferson County Public Library.